These Bic Cristal Ballpoint Pens feature a durable tungsten carbide ball mechanism and smooth oil-based ink for reliable, everyday use. 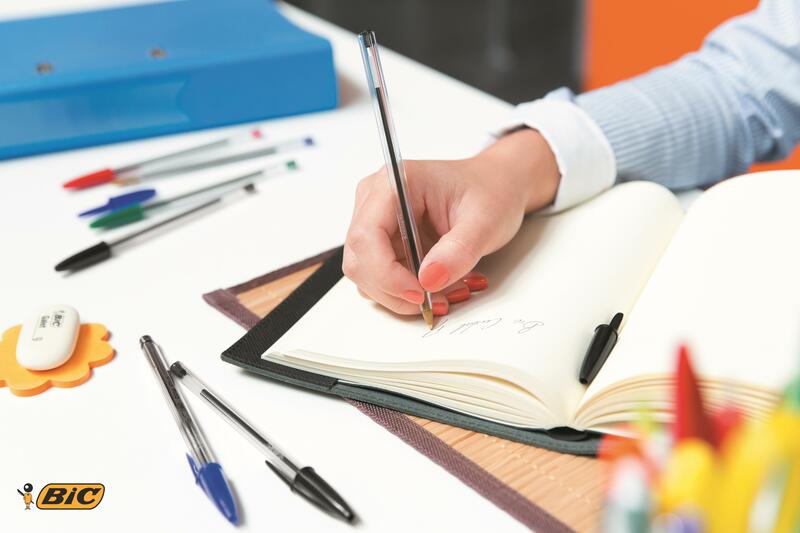 The medium 1.0mm tip produces a thin 0.4mm line for elegant handwriting and detailed sketching. The hexagonal barrel includes a blue cap and end plug that matches the ink for easy identification. 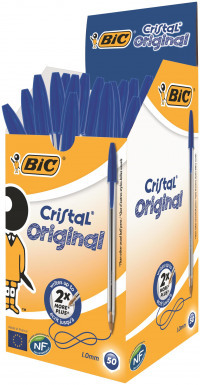 This pack contains 50 blue pens.